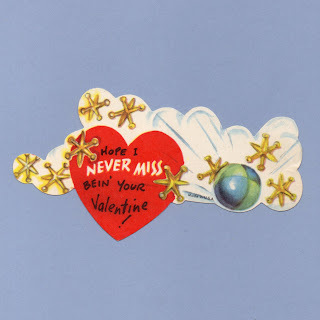 Vintage Valentine Museum: Games - Love at Play! Games - Love at Play! Hope I never miss bein' your Valentine! You Can't SKIP me - Be My Valentine. Gee Valentine - I don't SEE why you won't be mine! 4 1/8" x 4 1/2"
All Out But You My Valentine. Appears to be referencing the end of choosing teams or some such as in "eeny meeny"
The GRIPPING TRUTH I want you for my Valentine. Guess Who - wants you for a Valentine?